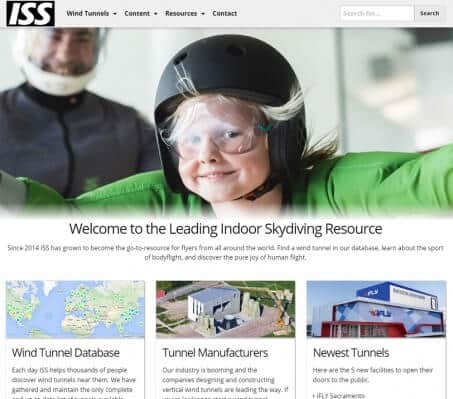 On April 15th, 2014 Indoor Skydiving Source went live to the world. 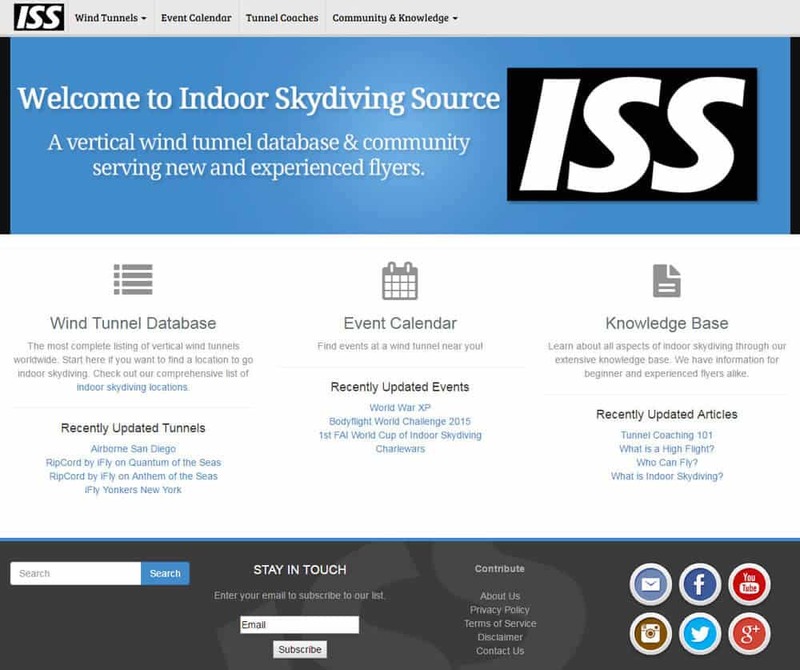 At the time, there was no complete and up-to-date database of vertical wind tunnels available online. My goal was to gather information on all the wind tunnels around the world and present it in an easy to understand format. 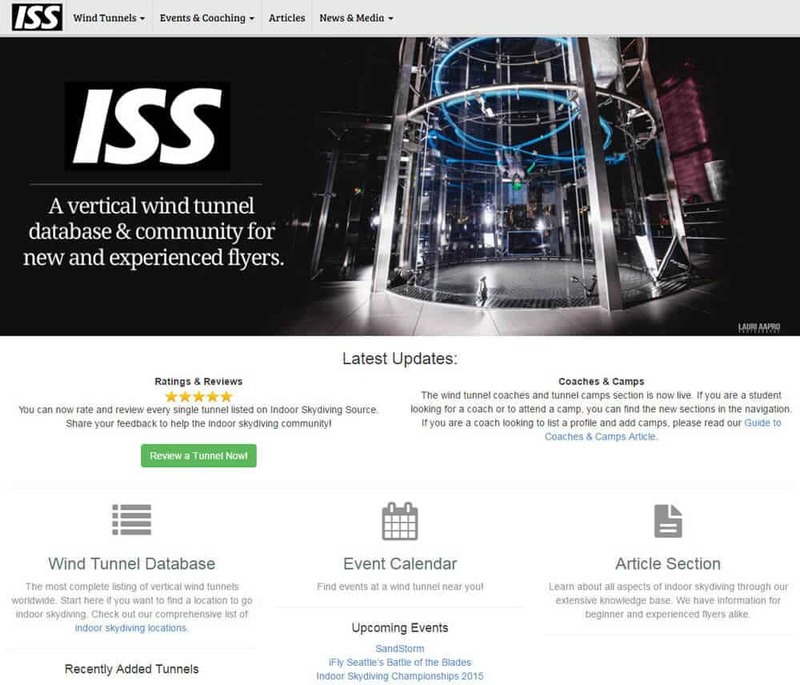 Fast forward to today and ISS contains the only up-to-date listing of vertical wind tunnels available. All the information you see today on this website was hand collected from manufacturer sites, individual sites, emails, trips and more. In addition to wind tunnels, the site now contains an ever expanding set of supporting resources across other aspects of the industry. 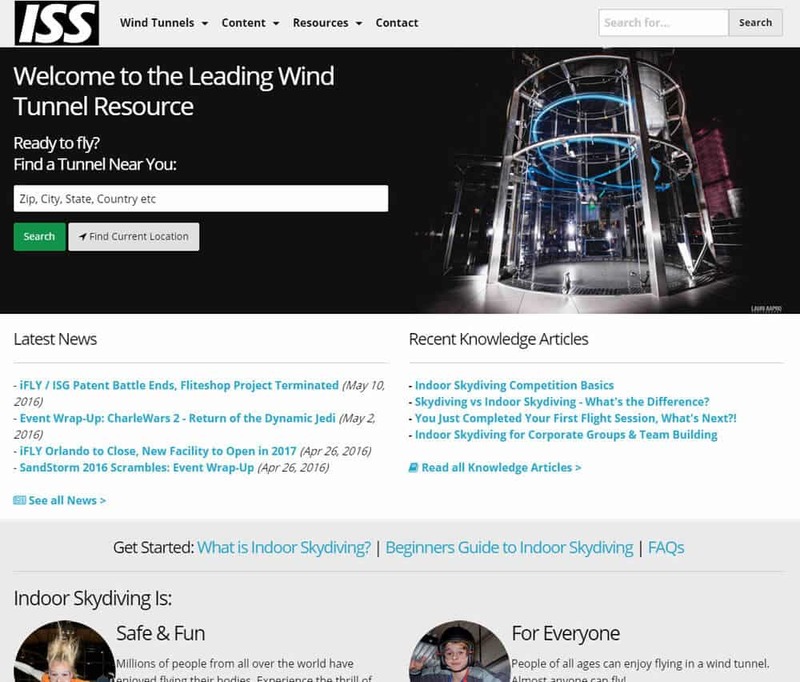 Over two years of constant growth gives me the confidence to label ISS as "The Leading Indoor Skydiving Resource". This is not a position that is taken lightly. Each day efforts are made to improve the website and information available. At the time of writing ISS helps over 50,000 people each month discover a wind tunnel near them and experience human flight. 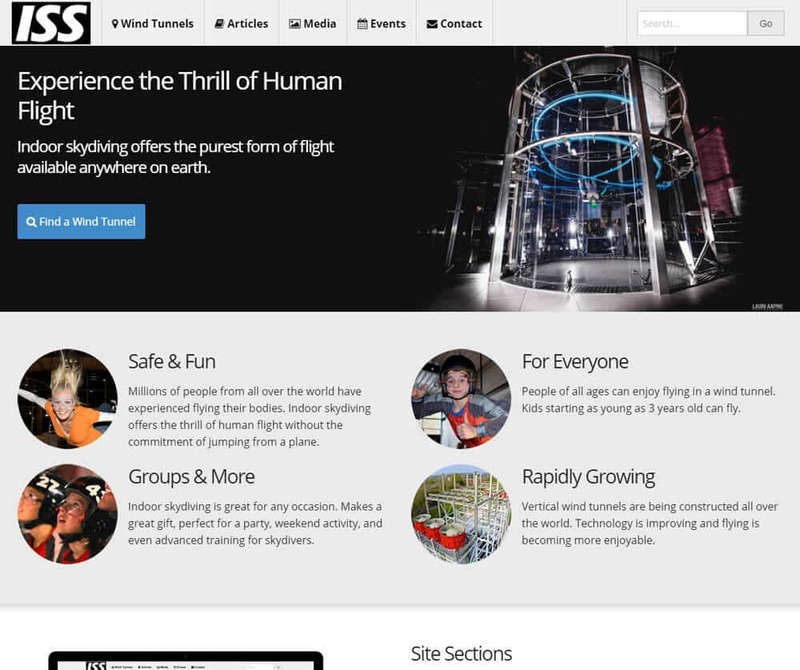 Last week on May 22nd, the new version of the ISS homepage was pushed live. The new design is a reflection of the direction the website continues to head. Each major section of the site is presented with the latest information highlighted. The homepage should give anyone who visits it a quick glance into the industry. Visit the new Indoor Skydiving Source homepage here. Big thank you goes out to Windobona Vienna for the fantastic new hero image. I hope you find the new design much easier to use and more informative. If you have constructive criticism or comments, please use the contact form. If you find value in the website, the best way to show your support is by sharing the site with others.